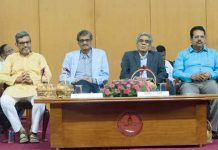 New Delhi: The Vice President of India, Shri M.Venkaiah Naidu, today attended the function organized by the Press Council of India on the occasion of National Press Day. 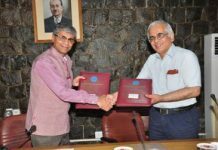 The occasion marked the Valedictory of Golden Jubilee Celebrations of Press Council of India. 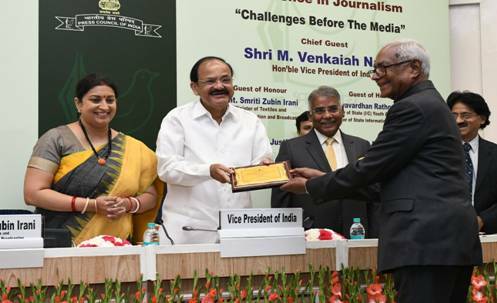 Speaking on the occasion, Hon’ble Vice President said that although the contours of journalism had changed over the years, it still continue to cast a huge influence in moulding public opinion and decision making by the government. Hon’ble Vice President expressed concern over some of the dangerous trends that had crept into the newsrooms of both print and electronic media. They needed to be curbed in order to ensure that the pristine role played by the press earlier stood restored. Earlier speaking at the function, Union Minister for Information & Broadcasting and Textiles, Smt. 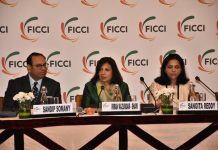 Smriti Zubin Irani said that voices of media shouldn’t be suppressed and constitutionally it was our responsibility to ensure that media had the freedom to speak. 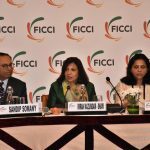 She further added that today we have citizens who are becoming journalists through the social media network and they are playing an important role to remind the media of their responsibility as the fourth pillar of democracy. Eminent Journalists Shri. Sam Rajappa and Shri Sarat Mishra were jointly awarded ‘Raja Ram Mohan Roy Award’ for their outstanding contributions towards journalism. While Ms. Shalini Nair, The Indian Express, received the “Rural Journalism & Developmental Reporting‟ award, Shri K. Sujith of Mangalam Daily and Ms Chitrangada Choudhury, Freelancer from Odisha, bagged awards for ‘Investigative Journalism’. 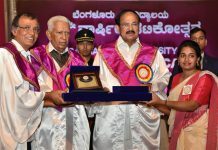 Photo Journalism awards were given to Shri C.K. Thanseer, Chandrika DailyShri Vijay Verma, Press Trust of India and Shri J.Suresh of Malayala Manorama. Shri Gireesh Kumar, Times of India, received the award for Best Newspapers Art.